Kontakt Piano Bundle contains some of the best piano samples and Kontakt piano libraries that Production Voices has to offer. 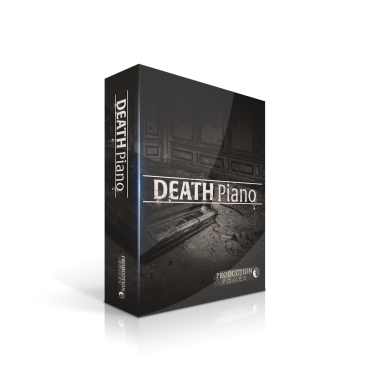 The bundle includes a 4 mic sample Yamaha C3, an 8 mic sampled Yamaha C7, Production Voices' highly sought after Death Piano containing upright and grand piano morphed offerings and a 3 mic sampled Kawai GS 60 praised for its natural tone and unique character. In total, there are 4 libraries in the bundle with over 50,000 samples and over 90 GB of content before lossless compression. Whether you are a composer, producer or performer, the Kontakt Piano Bundle is the essential collection of pianos with a variety of tones sure to inspire your live or studio sessions for years to come. 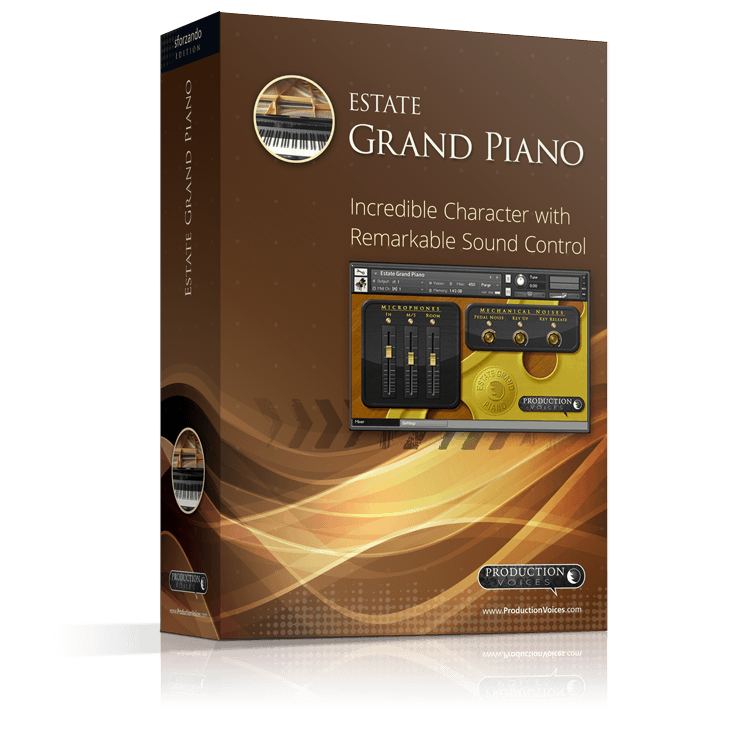 Kontakt Piano Bundle requires the full version of Kontakt 5.6 or greater (not included) and does not work with Kontakt Player. 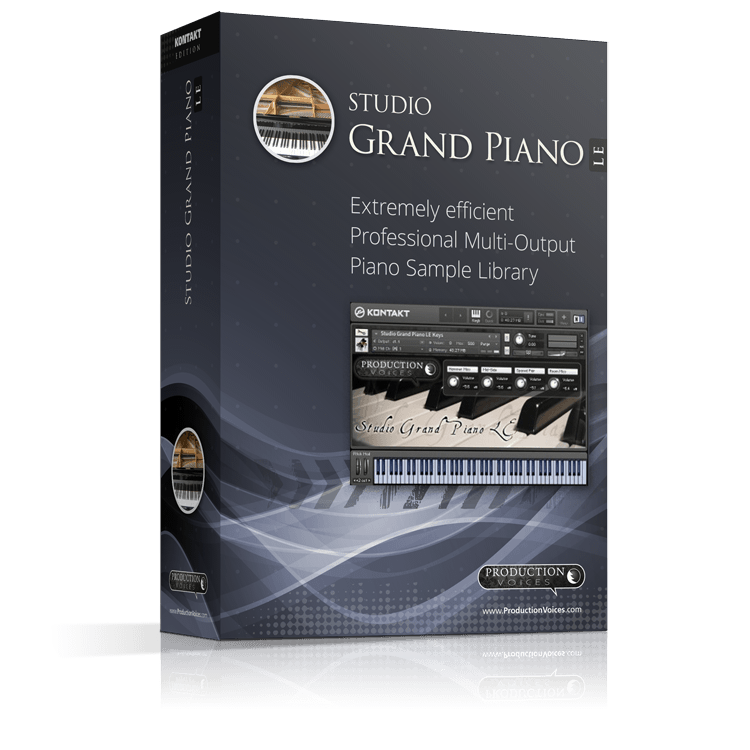 Studio Grand Piano LE – Quite possibly the most efficient multi-microphone piano sample available! 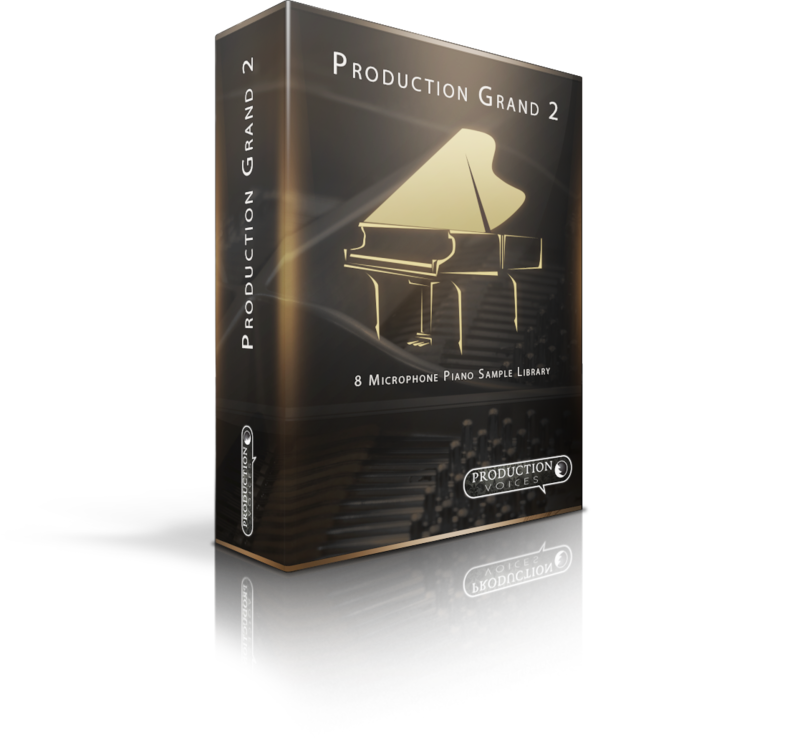 Production Grand 2 LE – High-quality piano sample library consisting of eight microphone perspectives and over 42,800 samples of a Yamaha C7 grand piano recorded in a world-class recording studio.